Our scramble nets are made to your specification and designed to add to and enhance your garden environment. 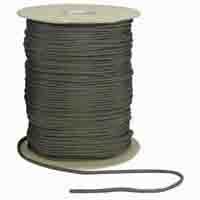 We use our 16mm Hardy Hemp rope which is certified with a breaking strain of 2100kgs. 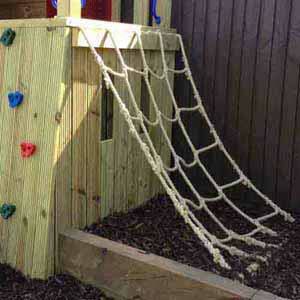 Our nets are made with a mesh size of 25cm x 25cm which make them easy to climb for all children. 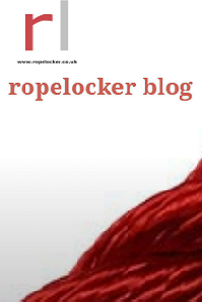 Hardy Hemp rope is soft to handle with a hairy finish ensuring good gripability. It has all the aesthetic properties of a natural fibre rope but with the benefits of modern synthetic fibres in that it won't shrink or rot and is long lasting in an outdoor environment.